We released this press release yesterday, thought it may be of interest. Legitimate streaming content providers are achieving what was impossible for Hollywood to get right: they are stamping out piracy by making available the shows people want to enjoy at reasonable cost and with maximum convenience. That’s borne out in independent research commissioned by Vocus Group NZ which confirms piracy is dying a natural death as more New Zealanders choose to access their content legitimately. “In short, the reason people are moving away from piracy is that it’s simply more hassle than it’s worth,” says Taryn Hamilton, Consumer General Manager at Vocus Group New Zealand which operates brands including Slingshot, Orcon and Flip. Conducted by Perceptive in December and polling more than a thousand New Zealanders from all walks of life, the study confirms that when content is made available at a fair price, people pay for it instead of pirating. Moreover, the study doesn’t just show that most of us can’t be bothered with piracy, it also confirms that fewer people who once pirated regularly, are doing it now. “Around half of all respondents have watched something at some point in their lives that may have been pirated – however, the majority rarely or never do that nowadays,” says Hamilton, noting only around 10 percent of respondents admit to viewing pirate content in the present day. This emerges in the preferred way that people like to take in their shows or sports. While free-to-air TV rates highly, at 22 percent, paid streaming is the standout figure, at 29 percent. Free streaming services add a further 6 percent, making streaming by far the most popular way to watch for New Zealanders. By contrast, paid satellite TV is the choice for a little over 14 percent of respondents – and only 3 percent prefer to watch pirated content. “People are watching less pirated material now than they used to, and they assume they'll continue to watch less in the future. This is largely because of the cheap, easy access to free and paid material on the likes of Netflix and YouTube,” Hamilton adds. “Compare that with pirating a show: piracy requires some technical ability and it is risky. Internet NZ’s Andrew Cushen says he’s not surprised by the findings: “Rights holders have done well by innovating and building great ways of sharing content at fair prices. Piracy isn’t the big challenge it once was because of this innovation, which consumers are using in droves. “The upcoming copyright review is an opportunity to enable greater collaboration and creativity through harnessing the power of new tech,” Cushen says. Historically, industry organisations like the Recording Industry Association and the Motion Picture Association of America have invested millions of dollars in pursuit of pirates, with no apparent abatement in illegal content distribution. By contrast, the simple process of introducing paid streaming services such as Netflix, YouTube, Google Play Movies, and any number of local and international contenders, has achieved far more. A Bloomberg article puts it succinctly, noting that ‘Subscription-based business models in content distribution is making piracy pointless’. It’s the classic carrot and stick approach, which further highlights the difference between the efforts of the MPAA and other industry bodies, versus the ‘organic’ action of Netflix, Google Movies and other streaming content providers. “Piracy is finally dying. The reason for that requires an understanding of why people pirated in the first place. They didn’t do it because of inherent criminality, but rather because they couldn’t get the shows they wanted at a price they were prepared to pay,” Hamilton concludes. I saw the same one liner repeated about 10 times in that article, Maybe a TLDR would be nice.. I do see in my friend group people are no longer asking me for content and paying for it through a streaming service which is good! Means I am now removing less malware etc. The only gripe is that if you want to watch the range of shows you like or want to see, you got to pay $15 per month to 3 or so providers which works out as a large expense, something I will not be coughing up so I will continue obtaining what I like through my methods. I do have Netflix for free with Vodafone which I use for everything currently on Netflix. Seems to work OK but the line up is pretty weak. Back when iPods were a big thing, You could walk around an office and a majority of those with iPods would know at least how to pirate music even my family members who were not computer savvy knew how to use Kazaa & limewire. Now I don't know anyone who still actively pirates music because Spotify is more convenient. The next big thing to cut down on piracy imo will be dropping the global release times. While there are Movies & TV Shows that are released in the US and being talked about online but yet to be released in the rest of the world there will be a desire for people to pirate it. Having content available globally on the same day (Like HBO / Soho are doing) means the need to pirate content to watch before you read a spoiler online is reduced. Is there any hard statistics to help back up this argument? I agree with you in principal and at my previous employer we ran similar numbers. But I don't see why ISPs can't say "We see X% of our traffic is bittorrent across Y% of our customers which while we can't guarantee it's all copyright material a fair guess is more than 90% of it is, and in comparison the growth in Netflix/Youtube has been Z%". I certainly remember when GOT came out there was a "blip" of torrent traffic where it doubled in volume for just that one day during Season 7 when it came out and then settled back down to "normal". It also reliably "blipped" every week for the whole season. 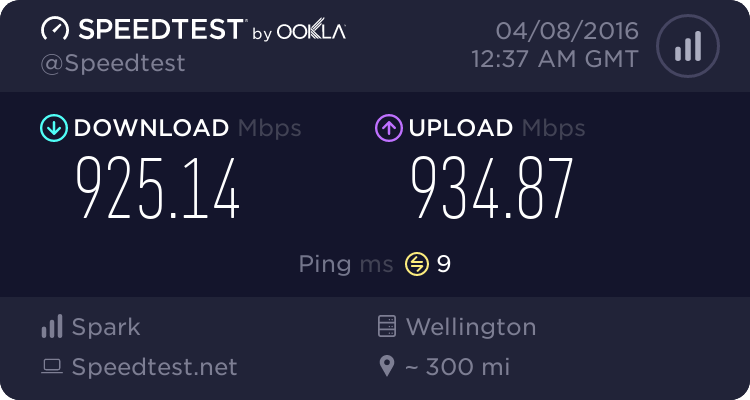 I think real, actual numbers help to put everything into perspective and if it was across all ISPs (especially the larger ones) all the better. Yes we have a document which we are just getting online so we can link to it. I agree with the findings generally based on experience of seeing the traffic shift for ~half the countries BB users to paid and free streaming services. It's hard to say "from bittorrent" because for as long as we've been monitoring the type of traffic (NOT A PER USER OR PER SITE MONITORING - DON'T PANIC) of the userbase, Bittorrent (and other P2P) traffic has been noise. Classifiable legit streaming traffic is over an order of magnitude larger than all P2P traffic, and about an order of magnitude larger than all possible sources that may comprise pirated content. Video streaming from legit paid and free services is not only the future, it's been the future for ages. The NZ On Air report series "Where are Audiences" already covers this topic in depth and context. And it has a time series. Really hard to see what the Vocus research adds to the picture. Interesting that Sky TV was still bleating on about pirated content quite recently - even though anecdotally it was reducing greatly since the legit streaming services appeared. Does Sky have some sort of court case trying to get the ISPs to block sites? If thats still going then I'm guessing Sky's bleating was probably backed by research about piracy - and Vocus is one of the ISP's that has its research about piracy. I imagine the parties would use their research in making their case. Its called self interest. Shock horror. Thats why I like research from parties like NZ On Air. There is no one paying for an agenda. As long as Apple charge $26 for an album there will be pirates. Not sure how this price can be justified for a digital release. Thats about what CD's used to cost IIRC? Whats a more reasonable price? The physical CD is almost a worthless amount of money, the cutting of it, the printed holder, transport would add some cost as would the ticket clippers on the way (wholesaler/distributor margin). I have no idea, say $8?? Make an online album $19? I think the suggestion here is that the only reasonable price is one calculated from giving the artist and their direct supporting crew (mixers/recorders etc) a wage similar to that of teachers. So let's say, $0.50 per new release album? Any more than that is just a gross reflection of the greed in the industry. Despite the advent of the [loss-making] streaming businesses like Spotify the proportion of people downloading music hasnt changed significantly. In fact the weekly behaviour of people downloading songs or albums has increased 25% from 2014 to 2018. Kinda diametrically opposed to the Vocus research. Who the hell did they interview lol, because _noone_ I know has stopped pirating because of Netflix.. most have _reduced_ their piracy because of it, but as soon as something they want to see isn't on Netflix (or Lightbox or whatever else they subscribe to), they will pirate it.. Pretty much this. No one wants to subscribe to 4 different streaming platforms, and even if they do, those major ones probably won't cover all the popular content you want to watch. If they really want to put a dent in piracy, there needs to be a larger aggregate service.. This is exactly my point.. For the weak willed they will now just pay for 4 services but others are like, nope..